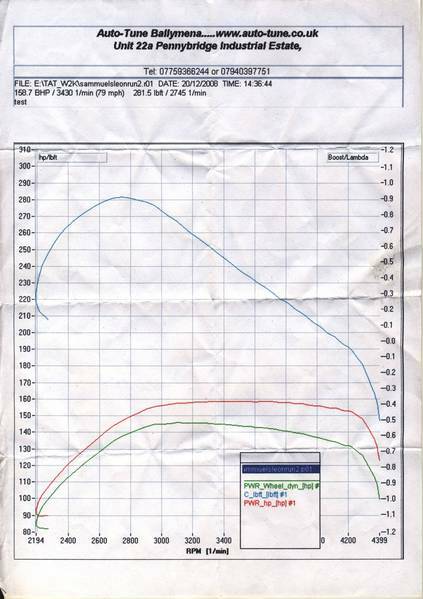 Dyno run done at Autotune in Ballymena, shame it doesn\'t measure from the idle. Mods to car are bosio sprint p502 injectors, that\'s what it says on the box, a 3 bar map sensor and a home made tuning box. Works for me. Clutch was slipping on dyno, operator says a could have got a wee bit more bhp and torque. how much? ???? ?